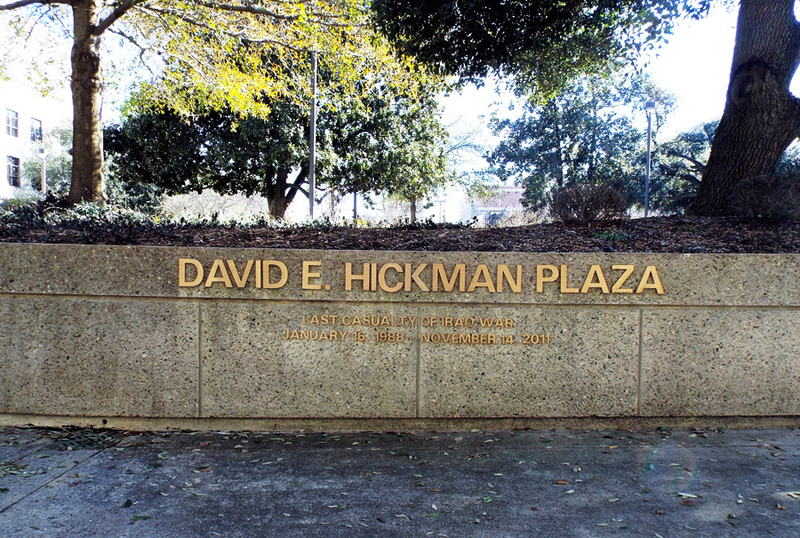 The Guilford County memorial to Iraq and Afghanistan War Dead is a simple bronze tablet attached to a small lectern shaped granite block setting in a grassy area at the edge of a retaining wall on David E. Hickman Plaza. Hickman was the last United States casualty prior to the official end of the Iraq War having been killed on November 14, 2011. 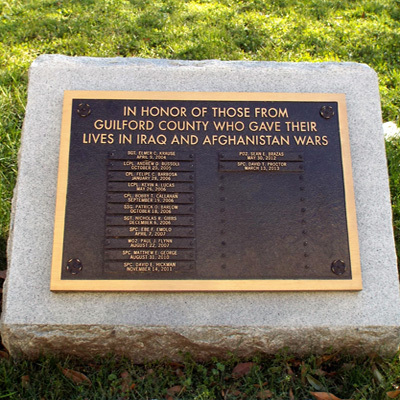 In addition to Hickman the tablet lists the names of 12 other casualties from Guilford County who died in the two wars. 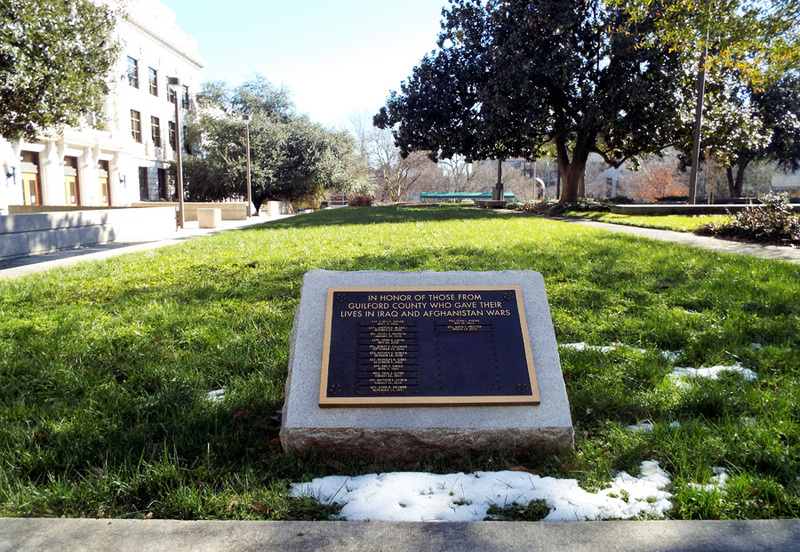 The marker is located above a retaining wall facing west towards the rear of the current Guilford County Courthouse. The plaza is bracketed by the Greensboro Police Department to the south and the Old Guilford County Courthouse to the north. A short distance to the east are Greensboro Millennium Gate, Guilford County Vietnam War Dead, and Pfc. Phill G. McDonald memorials. A short distance to the west and in front of the Old Guilford County Courthouse is the MSgt. Edwin V. Bain memorial marker. 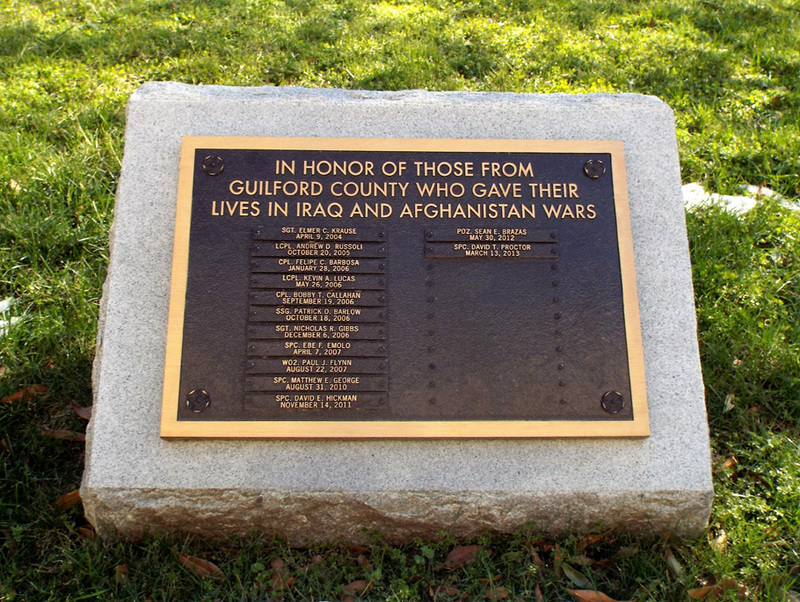 The memorial marker stands on a grassy area.